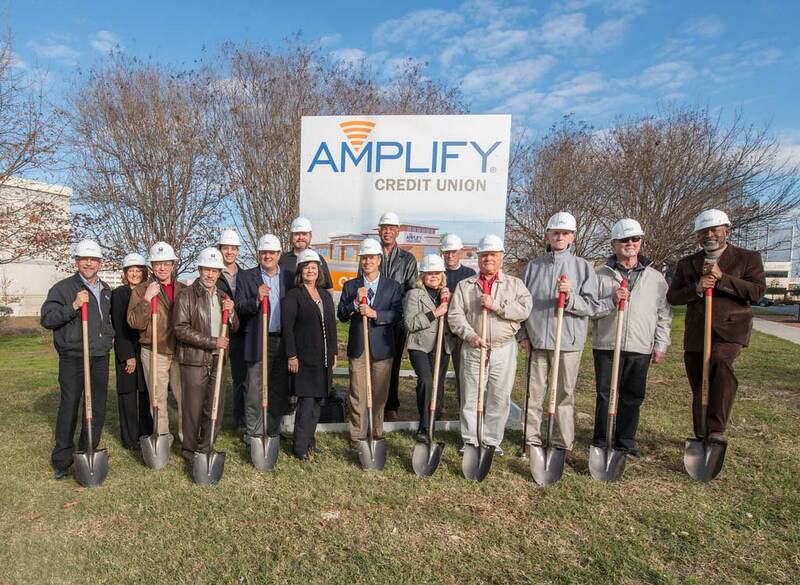 Austin, Texas – January 20, 2016 – Amplify Credit Union, one of the leading banks in central Texas, has broken ground on its new flagship location. Located at 2800 Esperanza Crossing in the Domain area, it is slated to open in the fourth quarter of this year and will replace the existing Brockton flagship branch, originally opened in 1985. The new, 9,000-square foot building will be a full-service facility with a drive-thru, ATM access, and the usual Amplify focus on member satisfaction. With a design by Mente Sowell Architects of Austin, the construction will be overseen by Austin Canyon Corporation, the general contractor on the project. It is intended to be a very energy efficient, eco-friendly building. The branch will be managed by Heather Kallas with Bobbie Phillips serving as assistant branch manager. They are the same team that has made the Brockton location a pleasant place to transact business. In keeping with Amplify’s dedication to community outreach and involvement, the new branch will include a meeting room with a 100-person capacity which is available free of charge upon request. “Scouts, AA groups, churches, job fairs – anyone is welcome to use it,” said Orton. The space is also available to Amplify members who need to host a meeting, and it is available beyond regular banking hours.